For optimal patient intake and care, we know how critical it is that your medical practice adopts an adept healthcare marketing strategy that boosts and sustains a high ranking for local search results on Google. With the healthcare journey becoming more digital, less potential patients in need are willing to search beyond two or three pages before making an appointment with a medical specialist. That’s why we aim for your clinic or facility to appear on the first search results page for the specific medical services you offer in your regional area. Working hands-on with your practice as a personal yet professional healthcare marketing agency, GoMarketing manages your reputation in the healthcare industry while creating an engaging online presence that appeals to current and potential patients. We’re committed to learning your exact geo-target market, creating a digital marketing strategy that involves creating content with optimized keywords to reach relevant audiences in your area. Grow your practice and increase referrals with a savvy website and active social media profiles that foster an online community for your practice. 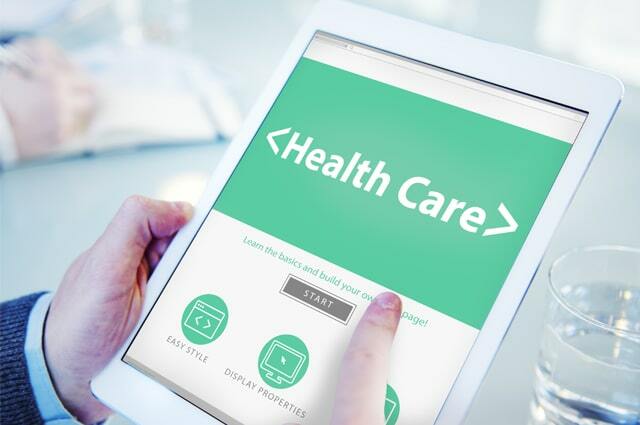 No matter the sect of healthcare your practice serves or the scope of your practice, your medical facility must maintain a stellar reputation and consistent messaging to be successful online. This sense of continuity across all channels will give way to an engaging digital community that ultimately expands your practice’s reach and increases patient intake. At GoMarketing, our healthcare marketing team prioritizes learning all about your facility’s values and best practices in order to translate them effectively to your target audience(s). 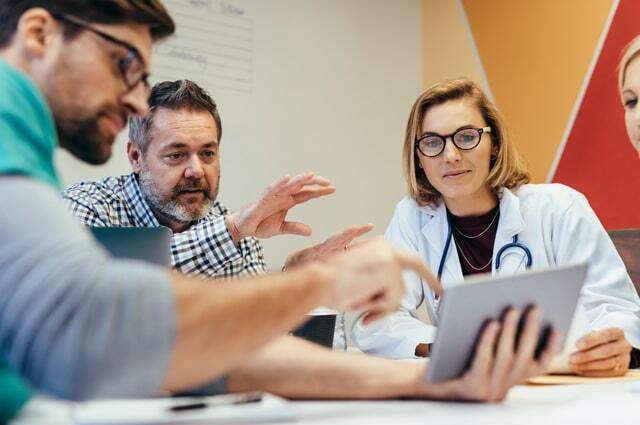 When building a healthcare marketing strategy, it’s important to establish short-term goals as well as overall objectives and KPIs. Tell us more about how you’d like to see your medical practice grow with a more active digital presence. Whether or not your marketing initiatives and objectives are clearly mapped out in the beginning, our team works with yours to develop KPI’s tailored to your facility, so you can achieve the growth you imagine for your practice. In 2017, ninety-five percent of healthcare executives listed their website as the sole reason for new business and patient intake. With this in mind, your medical practice will need a website that’s mobile-friendly, loads according to users’ expectations–all while portraying your medical services effectively with aesthetic value. In addition, written web content should be SEO optimized for higher keyword rankings from Google. As part of your healthcare marketing plan with us, our team leverages keywords specific to your medical practice’s services and target areas. We create impactful and relevant digital content on your website and profiles that incorporate our marketing professionals’ keyword research to increase your practice’s overall domain authority. This written content encompasses website pages optimized for Google’s ever-changing SEO standards, social media posts, and blogs that engage your audience(s). 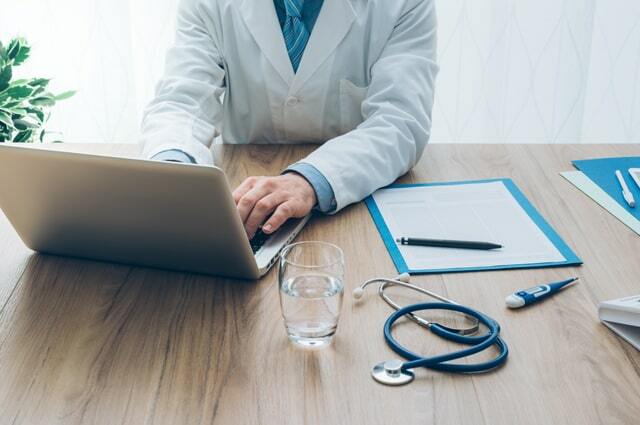 With more and more people searching online for answers to medical questions as well as providers and specialists, consistent content is key for your medical practice’s long-term success. 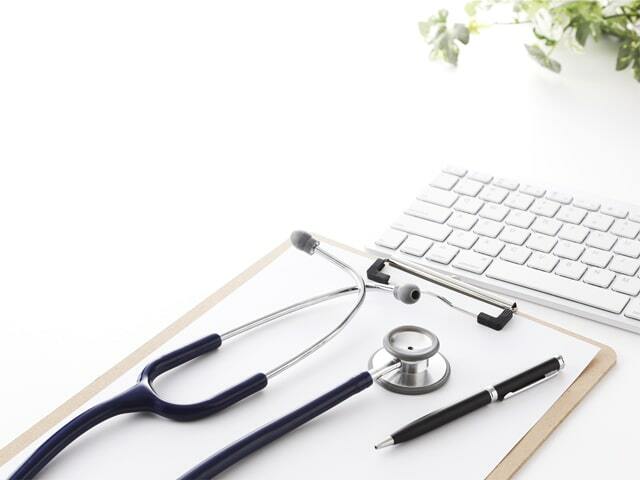 Bolstering your medical practice’s ranking authority and value involves us at GoMarketing negotiating important links from other sites within the healthcare sector to link directly to your facility’s website. Our ongoing monthly link building plan increases your practice’s exposure by expanding the list of keywords your medical office ranks for, locally and organically. Keep in mind that building a vigorous online presence and community for your healthcare practice takes time and dedication. 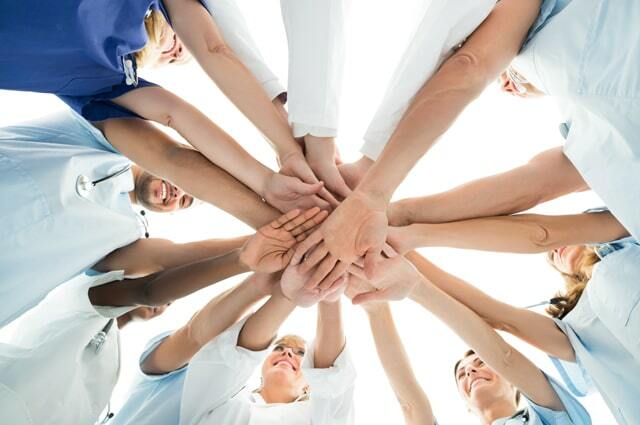 Our team of professionals is devoted to producing the traffic, leads, and sales that your medical facility needs for a competitive edge in the healthcare market! Your online health is our priority. To learn more about our marketing plans and get started, contact GoMarketing Inc. at 805-413-7893.